You can protect yourself and any passengers in the cab of your truck from dust, smog and pollen, by changing cabin air filters. Cabin air filters from Luber-finer offer superior performance and long life. 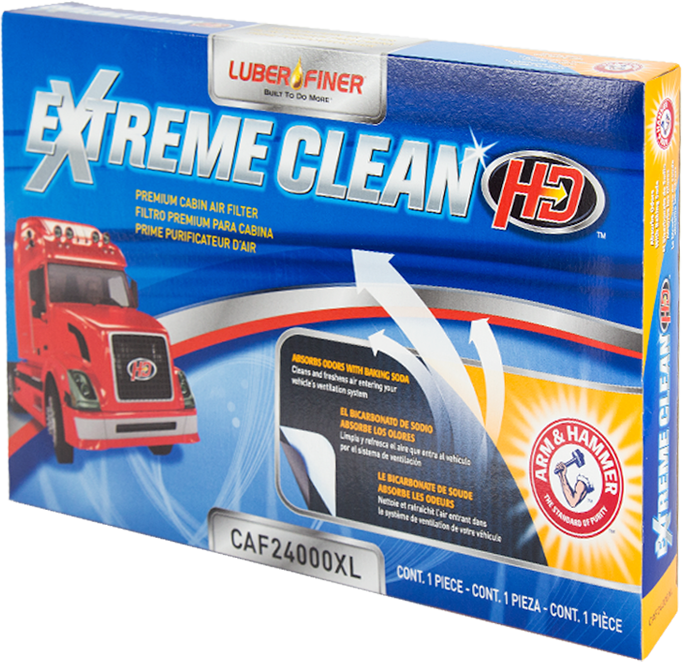 A Luber-finer cabin air filter helps trap bacteria, dust, pollen and exhaust gases that come through your truck’s ventilation system. Cabin filters are particularly beneficial for people with allergies. Luber-finer cabin air filters should be replaced according to owner’s manual guidelines. You may want to change the filters on a seasonal basis because of the pollutants created in different seasons. Extreme Clean HD Premium Cabin Air Filters help you breathe clean air! ARM & HAMMER® and the ARM & HAMMER Logo® are registered trademarks of Church & Dwight Co., Inc., and are manufactured and sold by Champion Laboratories, Inc. under license.